Nearly four years ago we took the children to Alton Towers and we had a lovely day. 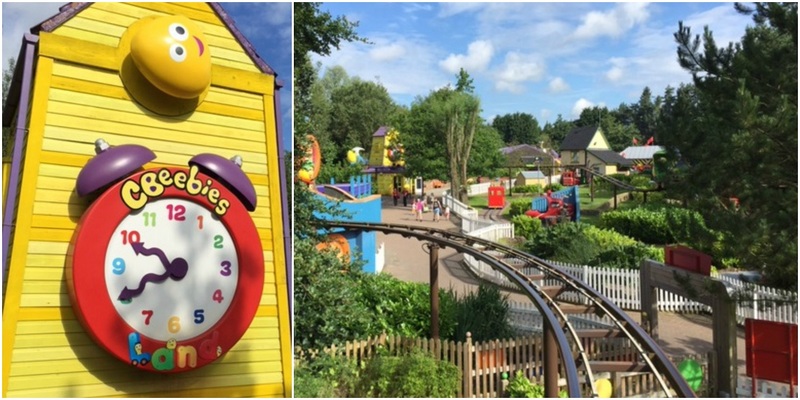 This summer we returned with our now slightly older children (7 and 5) and we were interested to see what had changed, especially with the opening of the new CBeebies Land. To be honest, our children are at the upper age range of the area, and CBeebies isn't really on at home any more, but Harry is pretty timid when it comes to rides, so he was perfectly satisfied with what was on offer. CBeebies Land is a redevelopment of the Old MacDonald's Farmyard. I'm fairly sure that the only new ride in the area is the Octonauts Rollercoaster Adventure (which replaced a similar family rollercoaster). It's the closest land to the main entrance which means that it's not too far to walk, and it's also part of Early Ride Time and opens an hour before the rest of the park. This means that if you pre-book tickets online, are staying in the resort hotel, have a Merlin Annual Pass or Alton Towers Annual Pass, you can enter at 9am. 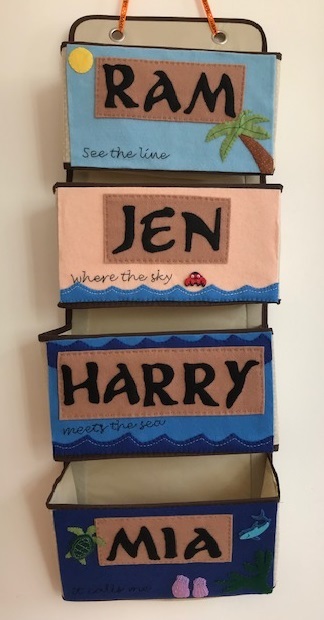 The Get Set Go Treetop Adventure gives you a nice view across CBeebies Land and it a gentle ride, but exciting for little ones as it is so high up. There's also a large outdoor play area - Tree Fu Tom Training Camp - which we spent quite a bit of time in, although some of the area was unfortunately under construction. Some of the rides get very popular so it's worth heading for these first. Postman Pat Parcel Post is a little track ride in a post van around Greendale, and the In the Night Garden Boat Ride is another ride which can have quite a queue. It really is a lovely ride though and was my favourite. 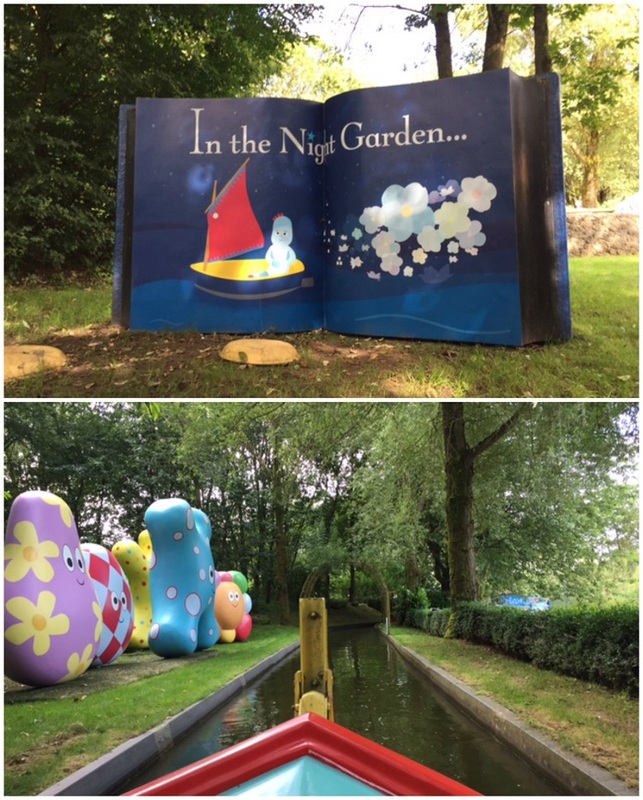 Both children have loved watching In the Night Garden, and I think even very young children that are familiar with the show would really enjoy this ride. The other popular ride is the Octonauts Rollercoaster Adventure, which Mia rode several times. 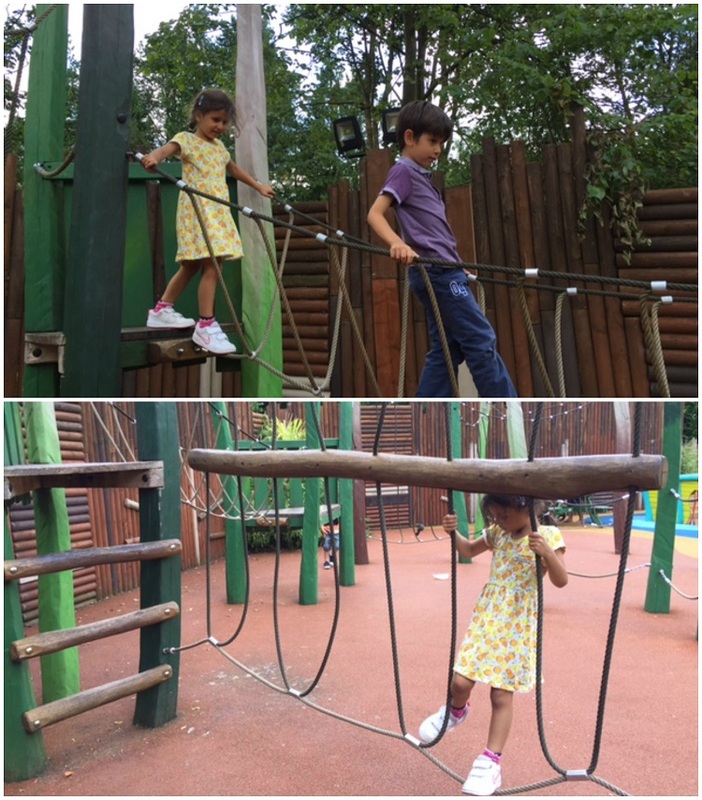 There are also some nice walk in areas - Nina's Science Lab was empty and had some fun little science experiments to try, and Charlie and Lola's Moonsquirters and Green Drops indoor play area was small but fun, especially when not too busy. Alton Towers is spread over a large area, and you do need to be careful when planning your route as you can end up walking a long way. The gardens in the middle are lovely, and if you have a baby that needs a walk with the pram to aid with a nap it's the perfect spot. There is also a SeaLife Centre in the park which little ones love. If you are only visiting Alton Towers for CBeebies Land then unless you have a Merlin Pass or other discounted tickets it can work out quite expensive for what it is. CBeebies Land itself reminded me a lot of the Peppa Pig World area that is part of Paultons Park in Hampshire, except that I've found Paultons Park to have more to do elsewhere in the park for small children. Unfortunately many of the rides elsewhere at Alton Towers that we thought the children would enjoy were closed (planned closures for the season). The Charlie and the Chocolate Ride was closed, as were Hex and the Driving School. This meant that the only other ride in the rest of the park that Harry was really up for was Duel (although he did really love it and went round it seven times as there was no queue) and we also went across on the SkyRide a couple of times. Mia and I went on the Congo River Rapids, which she enjoyed, although we had to queue in a deceptive line for about 40 minutes so she was pretty fed up by the time we got on. She also enjoyed the Runaway Mine Train, and there was only a short queue so she was able to go on it a few times. Ram and I were very keen to ride the new Galactica rollercoaster, which we would have done using our Parent Queue Share ticket (which means that one adult queues once, then the second adult can enter through the FastPass line), but that broke down early on and the queues would have been too long for us to wait later. We only rode on Nemesis with the pass as we thought it was a bit unfair on the children to have them waiting around for us, but it's a good system if you want to ride some of the faster rollercoasters. You need to get the Parent Queue Share ticket from the Resort Box Office shortly after you enter the park (and you need to have the children with you). So we spent most of our time in CBeebies Land and that was where the children were happiest. I was really impressed with the theming of the area, everything was really fun and colourful, and it's a lot of fun for little ones. I really enjoyed Alton Towers when we went. I was shocked how much middle man liked CBeebies land. And they all loved the Justin's world bit. I am looking forward to when they can ride the big coasters though!